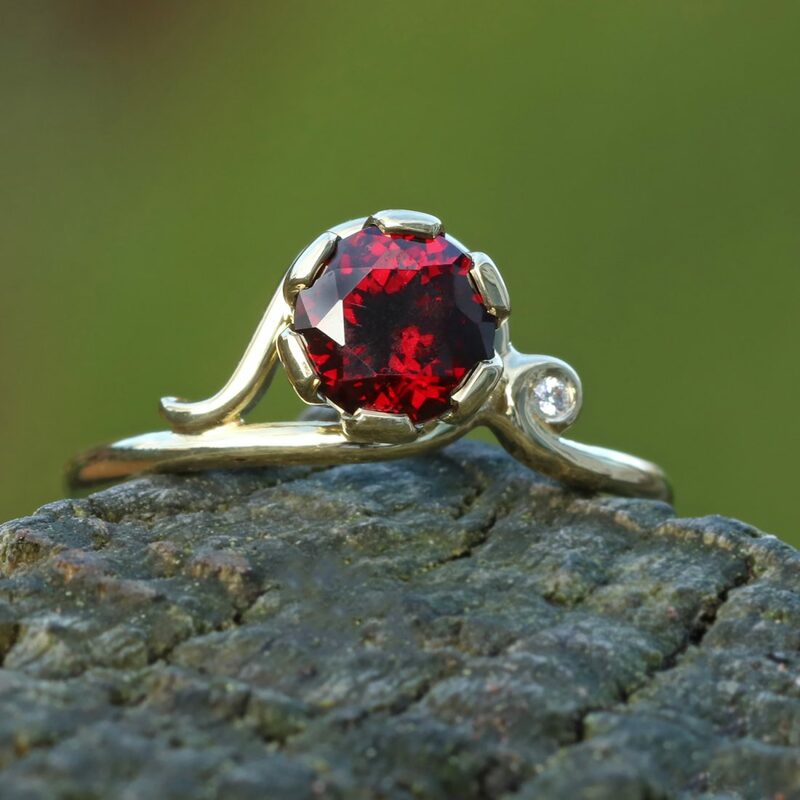 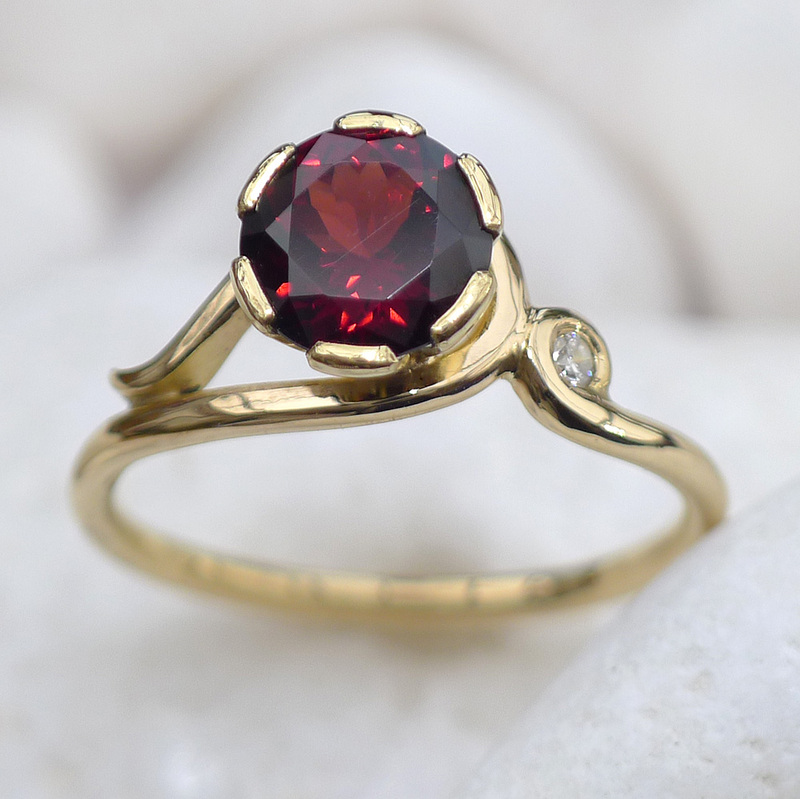 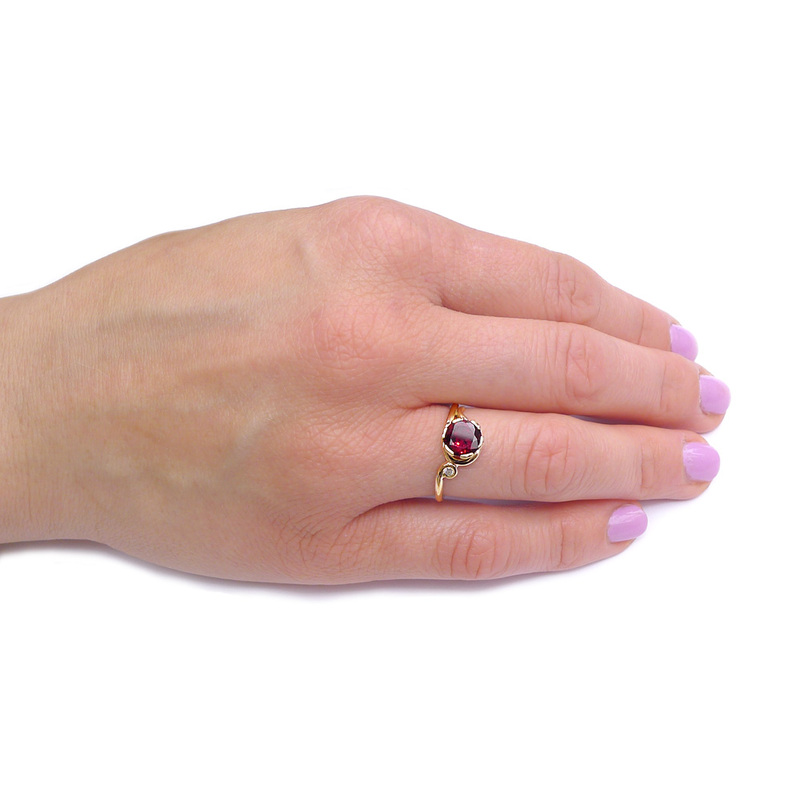 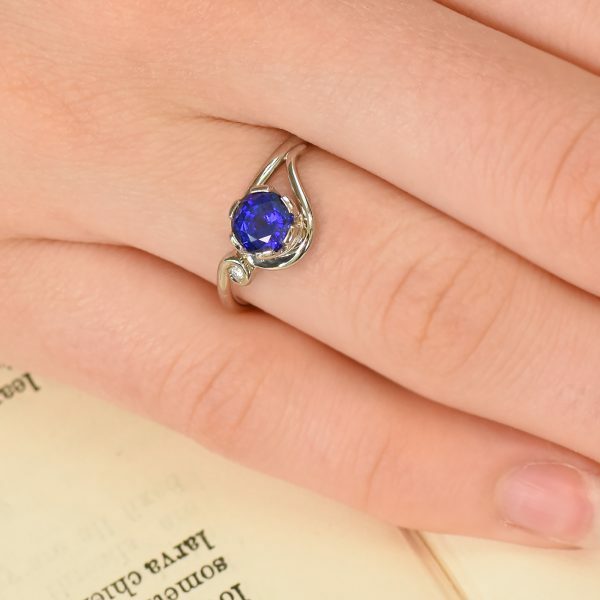 Lilia’s signature Art Nouveau inspired garnet engagement ring. 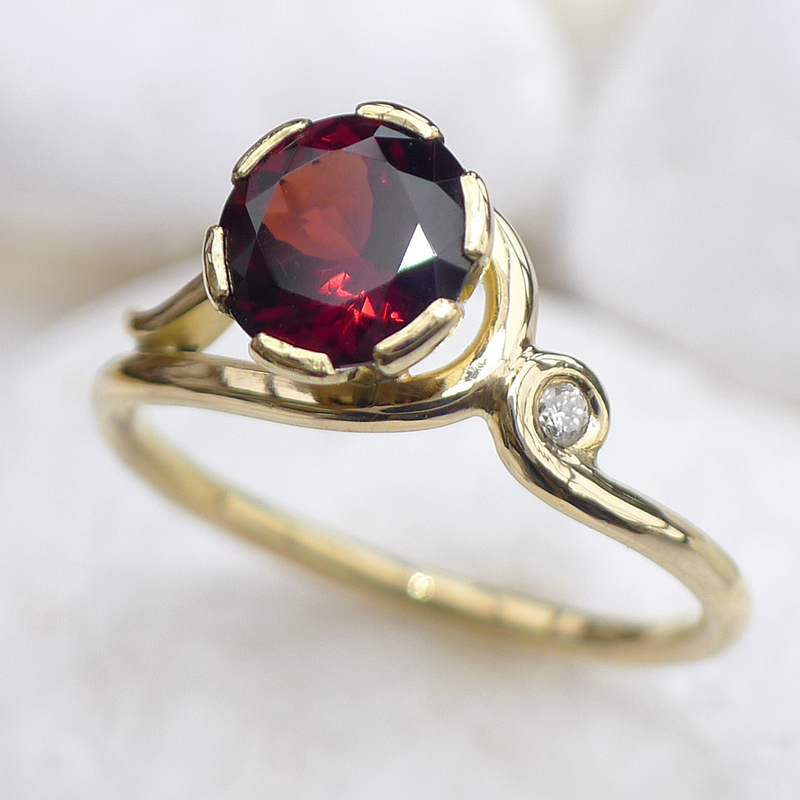 The round cut, 7mm Raja garnet is set in a hand carved, tapered bezel flower setting. 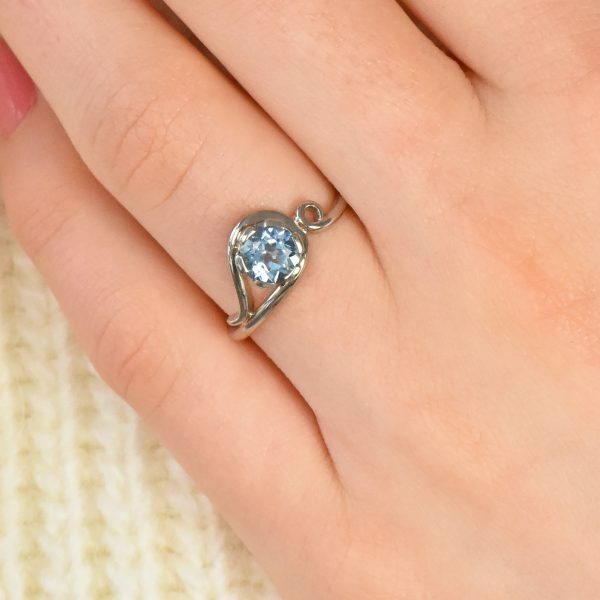 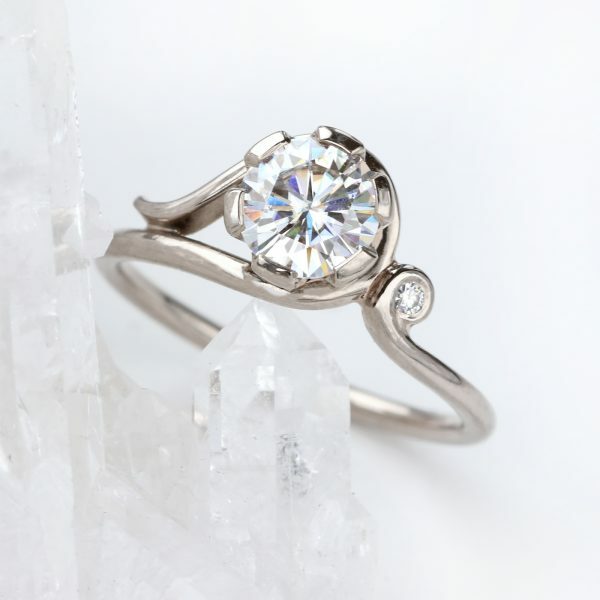 The 1.5mm ring is finished with a conflict-free white diamond, set in the swirl. 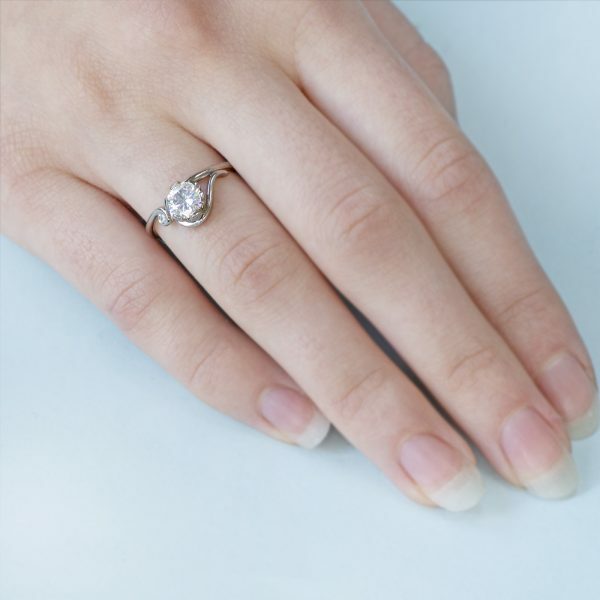 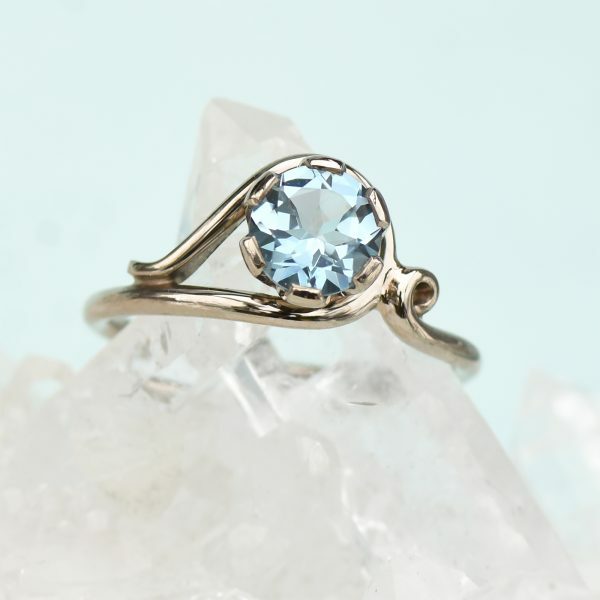 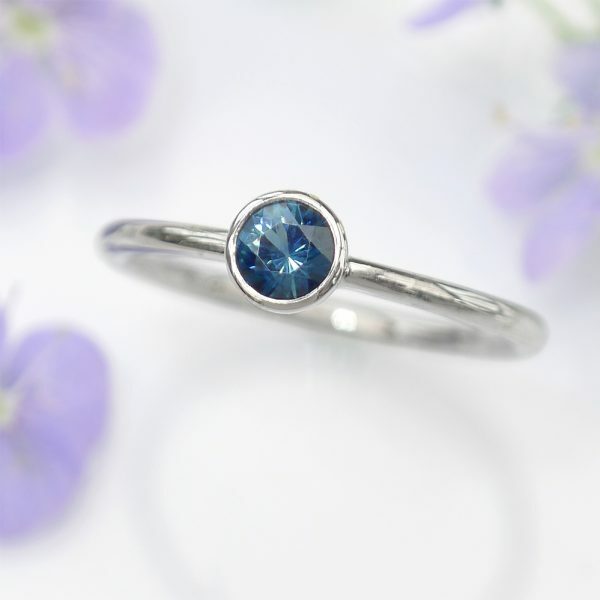 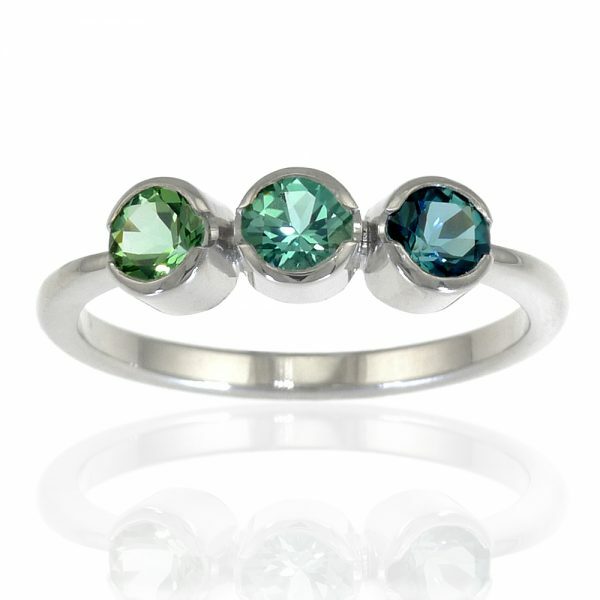 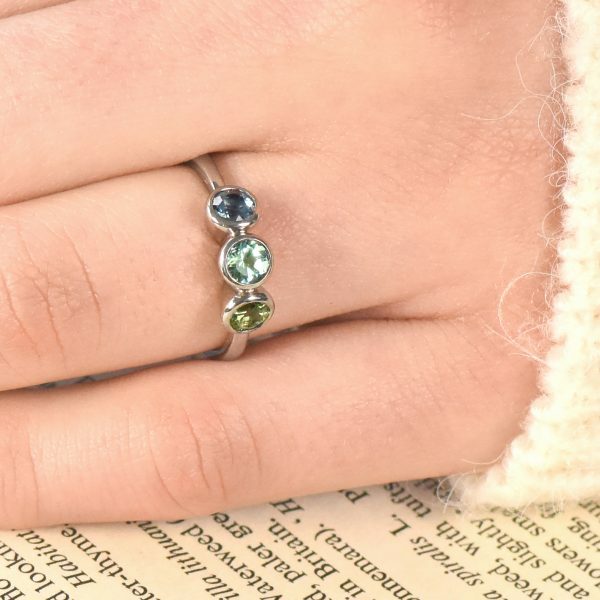 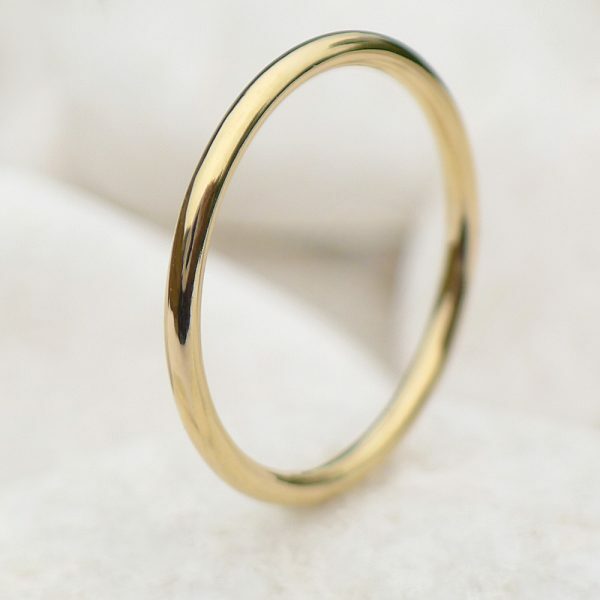 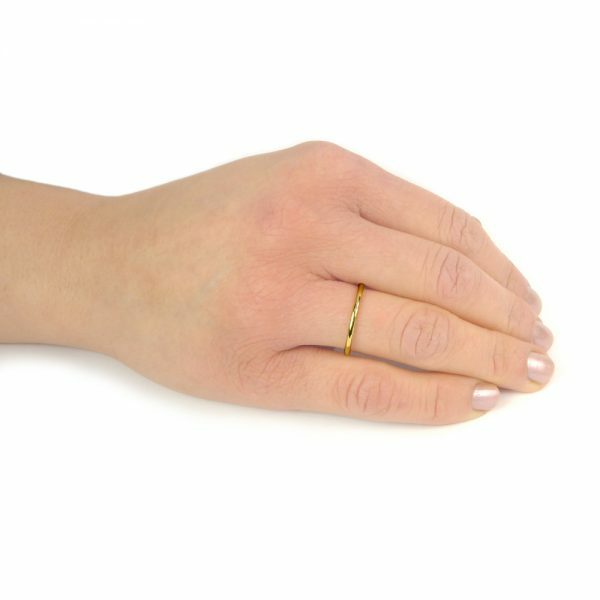 This unusual ring can be custom-made in any size and worn as an engagement ring, with a matching halo band or as a dress ring. 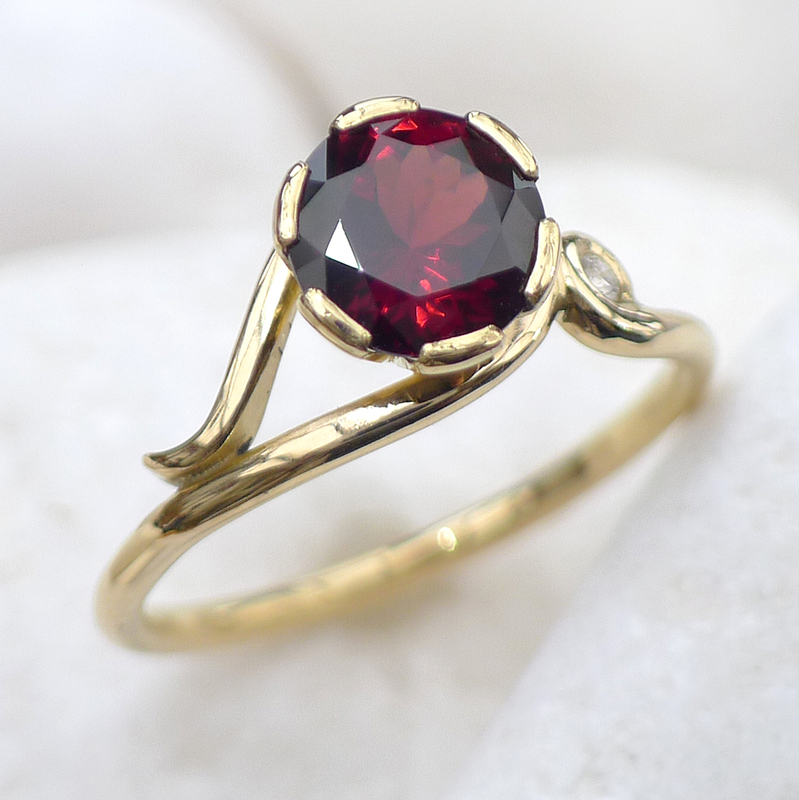 Handmade in Lilia’s studio in the Cotswolds. 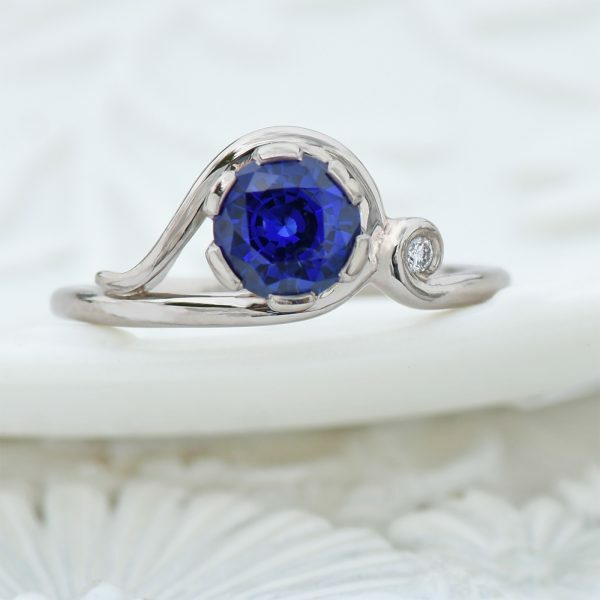 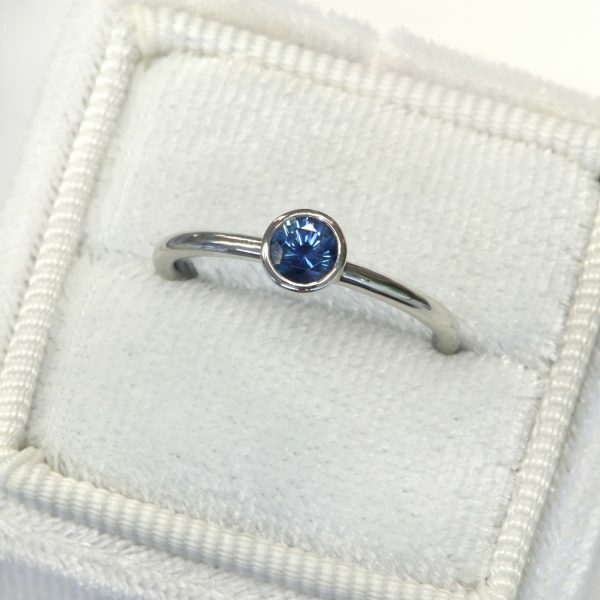 Your sapphire solitaire ring will be hallmarked by the Birmingham Assay Office and presented in our custom made jewellery box.